Successful journey of an individual often commences from working hard towards the goal in life. How soon or late, an individual will achieve success depends on various factors. Prominent among them is to never give up, struggle hard without losing hope and being resilience irrespective of how the result will unfold in near future. Imran Khan – the suave looking poster-boy of the 70s’ and 80s’ in the world of cricket was idolized by millions of youngsters around the world. He commanded great respect and awe from cricketers around the world for his charismatic bowling and as an all-rounder. His handsome looks was drooled by pretty girls and one could find his huge posters on their walls. His commanding Captaincy became the hallmark for Pakistan’s success, in winning the 1992 Cricket World Cup. Imran Khan is one of the legendary cricketers in the world. His charismatic aura was not only infectious in nature, but also magnanimous in his deeds. Post-retirement, Imran Khan was writing sports columns for esteemed publications like the Guardian, the Telegraph, the Independent, India Today and many others. He also appeared as a cricket commentator for BBC Urdu, and other Asian and British sports network. Having led a successful life as a cricketer, Imran Khan has donned many hats in his active life. 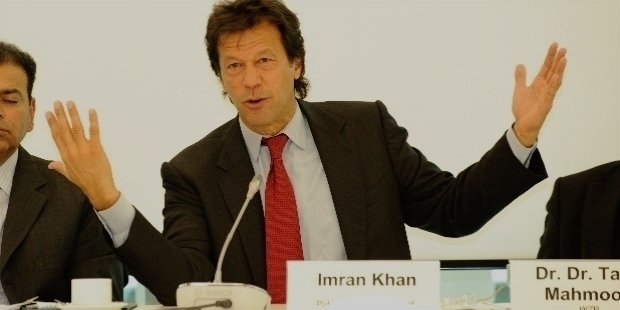 He has been the Chancellor of Bradford University, UNICEF’s Special Representative for Sports, founder of Shaukat Khanum Memorial Trust and Imran Khan has build Pakistan’s first and only Cancer Hospital. 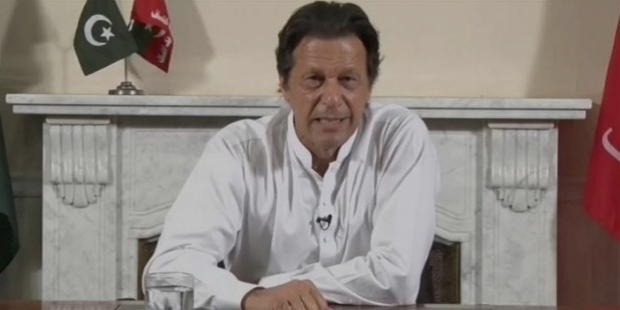 A new chapter of his life is going to unfold as Pakistan gets ready to have Imran Khan as their Head of the State – Prime Minister. His political party Pakistan Tehreek-e-Insaf has emerged as the single largest party amidst the foul cry of the opposition. 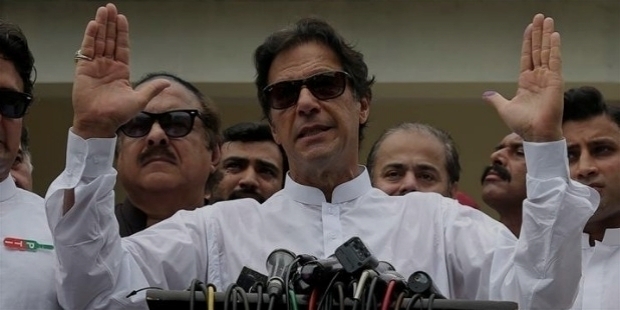 Soon after the election’s results came in, Imran Khan addressed the nation, “I decided to join politics 22 years back, when I saw a collapse of governance system and corruption in Pakistan.” Imran Khan’s 22 long years of struggle in politics has finally led him towards succeeding as the Pakistan’s Prime Minister. 22 years ago, Imran Khan established Pakistan Tehreek-e-Insaf in 1996. In his first Pakistan general election in 1997, he contested from NA-53, Mianwali and NA-94, Lahore. He lost both the seats. Two years later, Khan believed General Pervez Musharraf’s 1999 military coup would end corruption and clear the political mafias. He supported the General then. In the 2002 general election, Imran Khan was elected from Mianwali. He served as a part of the Standing Committees on Kashmir and Public Accounts. Five years later, Khan joined 85 other MPs to resign from Parliament in protest of the Presidential election on the 2nd of October 2007. This time, he was against Musharraf, who was contesting without resigning as the Army Chief. Musharraf declared a State of Emergency in Pakistan. Imran Khan was put under house arrest on the 3rd of November 2007. However, he managed to escape and went into hiding. 11 days later, he made his presence to join the student protest at the University of the Punjab. At the rally, Khan was captured by activists of Jamaat-e-Islami. He was imprisoned and spent few days in jail before being free. Khan addressed more than 100,000 supporters in Lahore, challenging the policies of the government on the 30th of October 2011. Successfully, he addressed another huge gathering on the 25th of December 2011. From 1996 to 2011, Imran Khan’s rise in national political arena has been phenomenal. He became a real threat to the ruling parties. 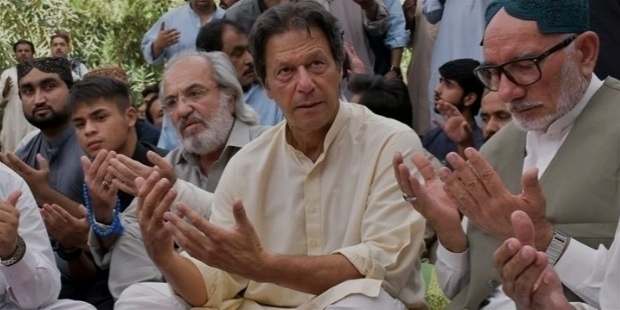 Khan joined a vehicle caravan of protesters from Islamabad to the village of Kotai in Pakistan's South Waziristan region against US drone missile strikes on the 6th of October 2012. His popularity was gaining momentum in provincial as well as national arena. Pakistan Tehreek-e-Insaf became the main opposition to the Pakistan Muslim League-Nawaz in 2013. 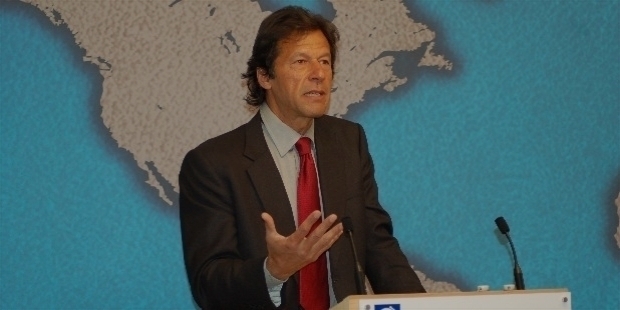 For the 2013 election, Khan announced that he would pull Pakistan out of the US-led war on terror and bring peace to the Pashtun tribal belt. He also announced that his party will introduce a uniform education system, in which the children of rich and poor will have equal opportunities. 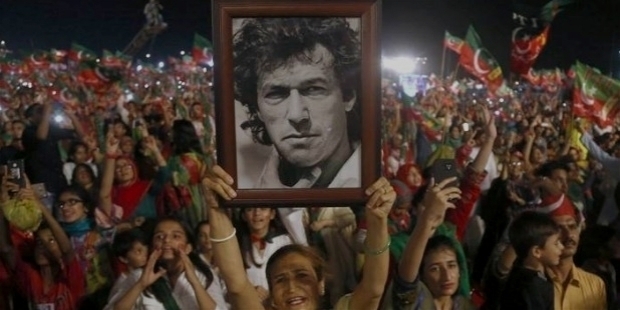 Unlike other leaders, Imran Khan’s vision for a new Pakistan was gaining momentum steadily. In Pakistan’s 2013 elections, Imran Khan’s party emerged as the second largest party winning 30 seats in parliament. He led Pakistan Tehreek-e-Insaf as the opposition party in Punjab and Sindh. He also became the parliamentary leader of his party. The party seized the militancy-hit northwestern Khyber Pakhtunkhwa to form the provincial government. PTI-led Khyber Pakhtunkhwa government presented a balanced, tax-free budget for the fiscal year 2013–14. 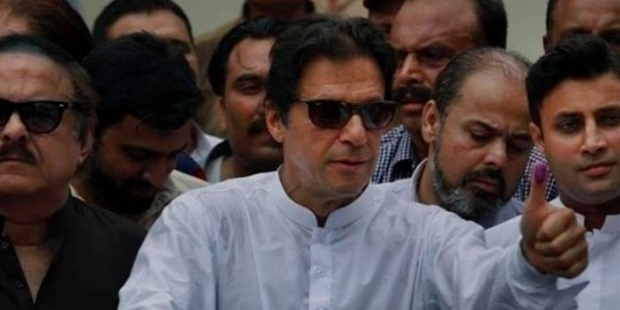 On the 13th of November 2013, Party Leader Imran Khan ordered Pervez Khattak to dismiss ministers of Qaumi Watan Party, who were allegedly involved in corruption. The ministers for Manpower & Industry, and Forest & Environment were dismissed. Later, he ordered Chief Minister KPK to end the alliance with Qaumi Watan Party. A year later, Imran Khan led protesters to enter the Capital city. A few days later, protesters marched into the high-security Red Zone. Violence erupted as protesters attempted to storm Prime Minister Nawaz Sharif's official residence. In the Pakistan Election Results 2018, Pakistan Tehreek-e-Insaf Chief Imran Khan has won maximum number of seats to claim victory as the single largest party in the general elections, which was held on the 25th of July 2018. Imran Ahmad Khan Niazi PP was born in Lahore, Punjab on the 5th of October 1952. He was born to a Pashtun family. He was educated at Aitchison, Worcester, and Keble College, Oxford. Imran started playing cricket as a teenager. He played for his college and Worcestershire Cricket Club. During the 1971 English series at Birmingham, Imran Khan made his debut at the age of 18 for the national team. 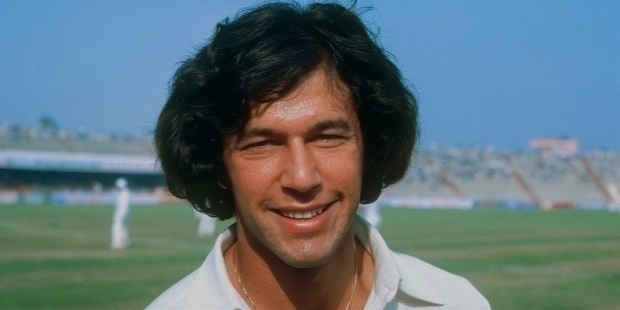 In 1976, soon after graduating from Oxford, Imran joined the Pakistan’s cricket team. He was a force to reckon with as a fast bowler. Over the years, he honed his skills as a batsman. Imran Khan is one of the most popular and successful cricketers in the world. From 1976 to 1992, he represented Pakistan and put his nation on the top of the cricketing world. In his career spanning 16 long years, Imran Khan scored 3,087 runs and took 362 wickets in Test Cricket. He is one of eighth world cricketers to have achieved an 'All-rounder's Triple' in Test matches. In the year 2010, Imran Khan was inducted into the ICC Cricket Hall of Fame. 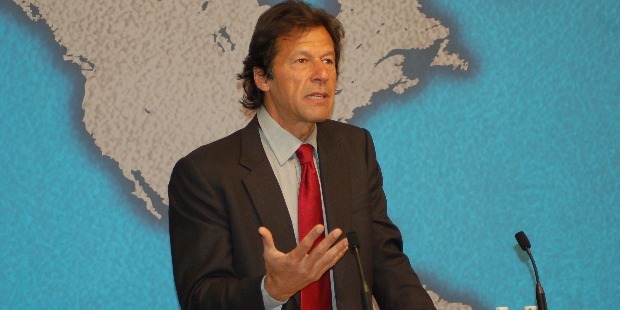 Imran Khan is well-known for his philanthropic’s commitment to better lives. It was his mother’s cancer, which motivated him to build Pakistan’s first Cancer Hospital for the needy patients. Way back in 1991, he raised $25 million from all over the world to set up his dream project in memorial of his mother. He was also instrumental to establish Namal Technical College in the Mianwali District. It was built by the Mianwali Development Trust and is an associate college of the University of Bradford in December 2005. His foundation provided and assisted needy people during floods in Pakistan. Together with Buksh Foundation, Imran Khan Foundation partnered to light up villages in Dera Ghazi Khan, Mianwali and Dera Ismail Khan. The project was named ‘Lighting a Million Lives’. Imran’s father Ikramullah Khan Niazi was a civil engineer and moter Shaukat Khanum was a housewife. The family was long settled in Mianwali, northwestern Punjab. Imran’s paternal family is of Pashtun ethnicity and belonged to the Niazi tribe. Mother Shaukat Khanum hailed from the Pashtun tribe of Burki. Maternally, Khan is also a descendant of the Sufi warrior-poet and inventor of the Pashto alphabet Pir Roshan. Pir Roshan hailed from his maternal family's ancestral Kaniguram town, South Waziristan in the tribal areas of northwest Pakistan. Imran grew up with his four sisters and received a privileged education in England. In 1975, he graduated with honours from Keble College, Oxford. He studied Philosophy, Politics and Economics. Imran Khan was the most sought after bachelor during his hay days. Handsome, smart, Oxford educated, suave, and a successful cricketer made Imran Khan a prized catch for every beautiful girl. He has had numerous relationships during his earlier days. Imran Khan, 43, married 21-year-old Jemima Goldsmith in Paris on the 16th of May 1995. They have two sons – Sulaiman Isa and Kasim. The marriage lasted for just 9 years. On the 22nd of June 2004, they were divorced, because it was becoming difficult for Jemima to adapt to Pakistani lifestyle. After almost a decade, Imran Khan got married to British-Pakistani journalist Reham Khan in October 2014. It was a private Nikah ceremony at Khan’s residence in Islamabad. The marriage did not last long. A year later, they were divorced. Imran Khan married for the third time on the 18th of February 2018. Bushra Manika is believed to be Imran’s spiritual advisor. The couple lives in his sprawling farmhouse in Bani Gala.